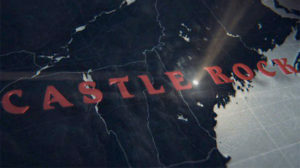 Hulu brings the world of Stephen King to life with Castle Rock, original characters and stories in the creepy setting of Castle Rock, Maine. King’s town is now the home for a whole new slate of scares in this original Hulu series from J.J. Abrams and Bad Robot. André Holland stars as Henry Deaver, a lawyer specializing in death row cases, who returns to his hometown of Castle Rock to assist a mysterious inmate at Shawshank Prison. Holland, who has a long resume including The Knick and American Horror Story, leads the talented cast, as the prodigal son returning. While he couldn’t share too many details, he did give us some insight into his character and why he thinks Stephen King’s vision is so popular. Fresh off the hit summer movie It, Bill Skarsgård (Mysterious Shawshank Prisoner) returns to the world of Stephen King in Castle Rock. Who is his character? What’s hiding in the walls of Shawshank Prison? Bill also dished on a creepy filming experience in a haunted prison! How would you like to be the Castle Rock real estate agent? Melanie Lynskey (Molly Strand) comes to the Hulu show as another member of the Stephen King Club – she was in Rose Red. Melanie doesn’t scare easily, which is probably to her benefit! Think of Sam Shaw and Dustin Thomason as fans in charge of Castle Rock. They love the world as much as you do, and they’re determined to respect the vision of the master! They’re devotees of Stephen King, so they were delighted to bring original characters and stories to the framework of the author’s classic Castle Rock, Maine. What fresh horror awaits you and the characters in the woods of Maine? And just what is going on at Shawshank Prison? (We imagine nothing good…). Check out the trailer and then find Castle Rock on Hulu in 2018!